If you are interested in the Lift Ink from Ranger, be sure to sign up for Kathy's class this Saturday. You will learn to use the ink to lift an image off of a background and stamp it onto another piece of cardstock. Make two cards in one step! This is a really fun technique! Don't miss this class. You will also make the cute Peeking Penguin card so bring your grey and black Copics as well as your Copic Blender. 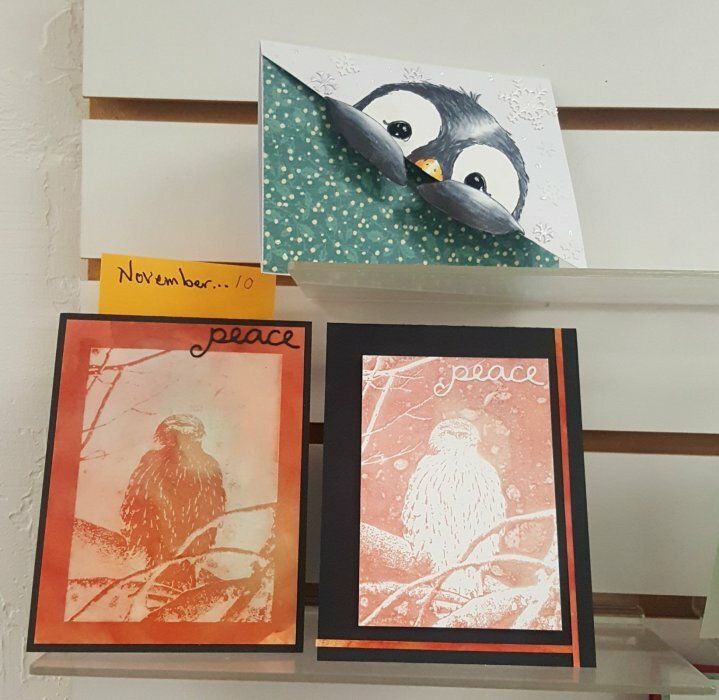 Be sure to stop by the weekend of Thanksgiving for a Make and Take, Hot Cider, and 20% off all stamps and dies.